Easter Crafts & Activities! FUN and Inspirational ideas! Easter is almost upon us. Hard to believe how fast this year is flying. I love this time of the year. Spring has sprung, and a new life is on full display. With spring comes Easter, which is a favorite time for us. It is the time that we remember Christ’s resurrection and all He has done for us. It is also a time that we enjoy having fun spending time together doing memorable things like creating easy and fun Easter crafts and activities. There are so many really great crafts and activities for your kids to enjoy. Easter should be a time of celebration and building fun memories, right? You are sure to have a wonderful time making fun memories with your kids as you enjoy doing these crafts and activities together. Happy Easter! I hope these ideas inspire you to get out those crafting supplies and create some fun. Which one will you try first with your blessings? Need more inspiration and ideas. Check out all these other Easter resources. 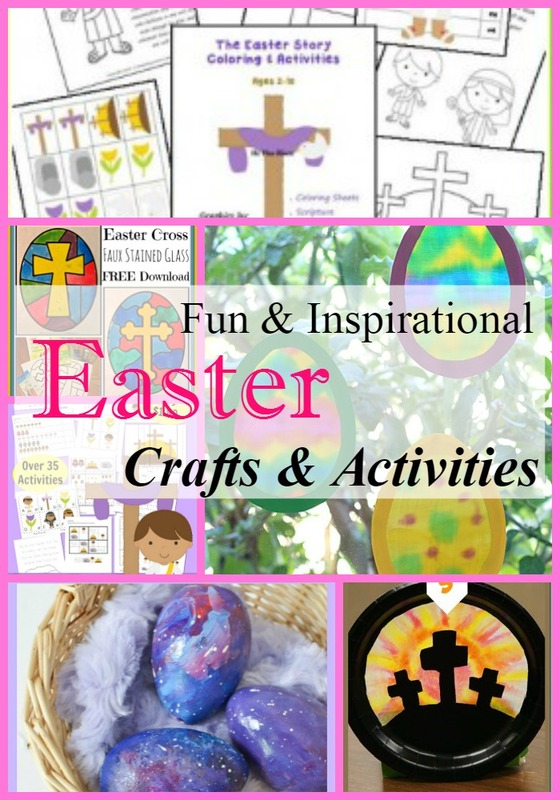 Thanks for pinning these Easter Crafts and Activities for Kids for others to enjoy. Best Deviled Egg Recipe| It’s a Spread!